Generac Bi-Fuel™ generators start on diesel fuel and add natural gas as load is applied, until the unit runs primarily on natural gas. Generac’s Bi-Fuel generators are fully integrated solutions, not after-market conversions in the field. That means every component is specifically designed, engineered, and factory validated to work together. Generac Bi-Fuel generators have the added benefit of being EPA compliant from the factory—the only bi-fuel systems on the market that can make such a claim. Despite the perceived reliability of on-site diesel fuel, power outages can damage infrastructure and make diesel refueling difficult or impossible. Generac Bi-Fuel generators mitigate refueling issues by operating primarily on utility-supplied natural gas. That means less on-site diesel fuel is required and running times will be greatly extended compared to diesel-only solutions. And because the natural gas infrastructure tends not to be affected by the same conditions that lead to power outages, fuel reliability is improved. Because natural gas costs less than diesel, fuel costs are significantly reduced over the long term. And since less on-site diesel fuel is required for long running times, installation, operational and maintenance costs are reduced. 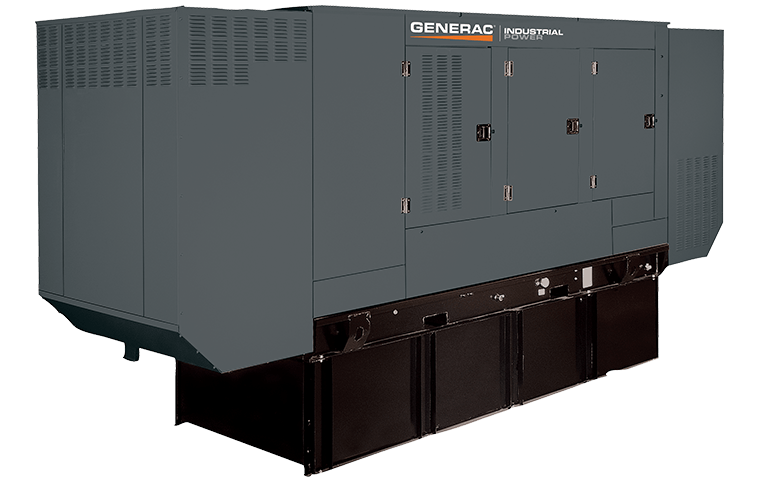 Generac Bi-Fuel generators can be configured as part of a Modular Power System (MPS)—connected via integrated paralleling with other Generac generators. This makes the system scalable, meaning there is no need to install more power than you need. Generac Bi-Fuel generators meet the on-site fuel requirements for emergency systems as referenced in NEC700 and NFPA 110. Less on-site diesel fuel means easier permitting. And indoor fuel installations with capacity limits per NFPA or local codes become a viable option. Bi-fuel generators are cleaner and more environmentally friendly than diesel-only generators. They emit about 30% less nitrogen oxides and 50% less particulate matter than comparable diesel-only units.